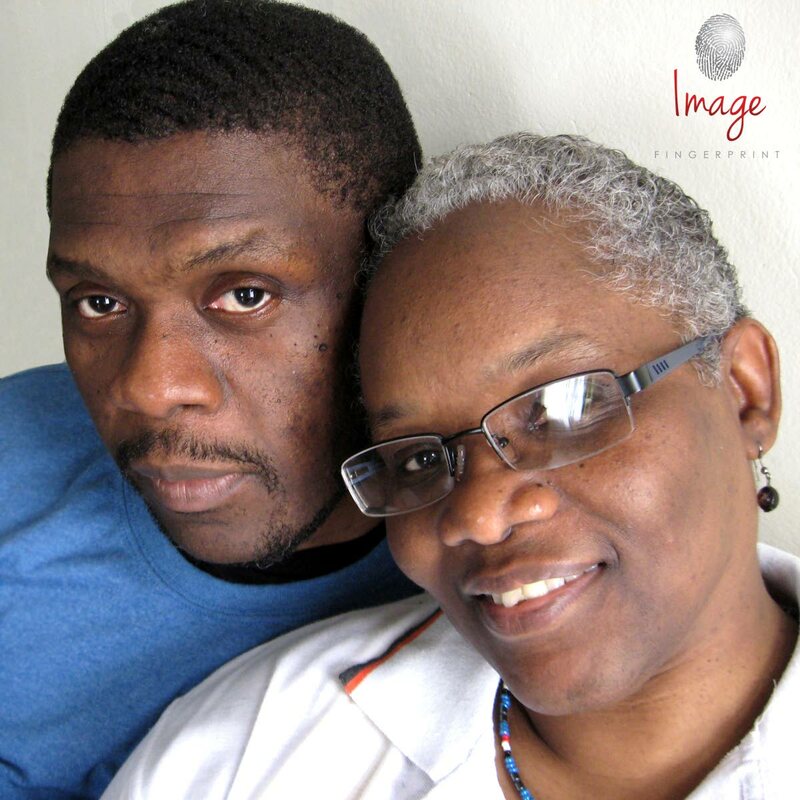 Comic creators Everard McBain and his wife Dixie Ann Archer-McBain. Co-creator of superhero comic Celflux Everard McBain has expressed hope that Celflux’s nomination in the CODE Burt Awards will be an inspiration to other local comic creators. McBain, who created the comic with his wife Dixie Ann Archer-McBain, announced on his Facebook page that the third issue of Celflux had been entered into the CODE Burt Awards managed by the Bocas Lit Fest. “We are grateful for the opportunity to be a part of such a prestigious event,” he said. The Burt Awards for Caribbean Literature is now in its fifth year and recognises up to three English-language literary works for young adults, ages 12 through 18, written by Caribbean authors. This year, the winning title will be awarded CAD$10,000, and two finalists will be awarded CAD$2,000. Publishers of winning titles will be awarded a guaranteed purchase of up to 2,500 copies, which will be donated to schools, libraries, and literacy organisations throughout the region. To date, more than 15,000 copies of winning books have made their way into the hands of Caribbean youth. The winners of the Burt Awards will be announced in April 2018 and McBain is hoping to release the first animated Celflux episode to coincide with it. He has created a trailer for the episode and uploaded it to YouTube. The third issue of Celflux. 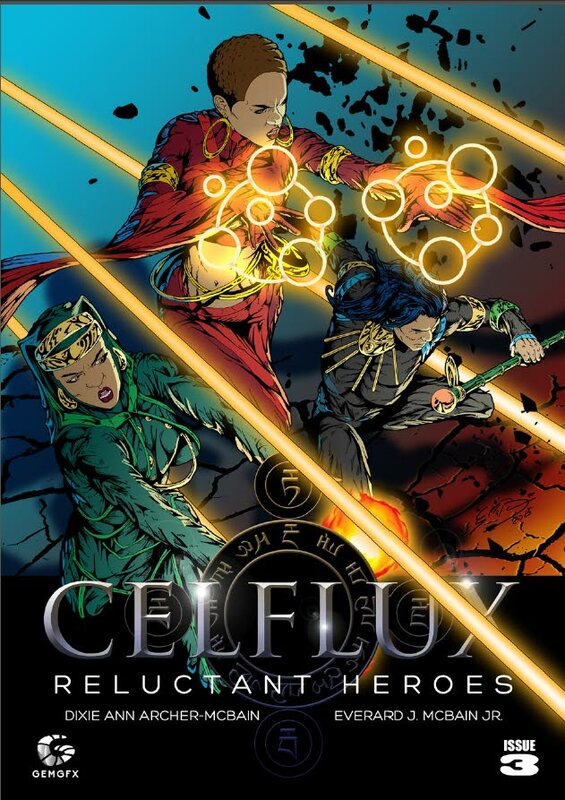 Celflux is a superhero, sci-fi, fantasy, action-adventure about Okira, a young, benevolent priestess who becomes the involuntary leader of a disjointed group of strangers. It is set on the world of Newgenisia, a land made up of six realms, each with their own people, traits and prejudices. The third issue continues the journey of Okira and lone wolf Ahoteh while introducing sub-plots with the reintroduction of heroes like Samantha, who has the power of flight, the fire manipulating Shandrita and Enforcer Raymond. The story features action, twists and revelations while the art is colourful, vivid and the artwork masterfully drawn. McBain expressed hope that the inclusion of Celflux in the Burt Awards would encourage fellow local comic creators. He said growing up, creating comics was not seen as something viable, but in recent years, through events like the Alias Entertainment Expo convention and Anime Caribe, it was getting more respect. McBain said with the popularity of superhero movies, local comic and graphic novel creators are seeing the light at the end of tunnel where their work will be considered in a serious way, and the nomination of Celflux helps people understand the genre is not just a hobby. He hopes next year more local graphic novels will be considered for the awards. Celflux issue three is available on Amazon, while the first two issues are available for free on the website www.celflux.com. At the 2017 Burt Awards, Viviana Prado-Núñez (Puerto Rico) won the first prize for her self-published novel, The Art of White Roses. Two Trinidadians took the second and third prizes: Kevin Jared Hosein placed second for his unpublished novel, The Beast of Kukuyo, and Lisa Allen-Agostini came in third for her unpublished novel, Waiting for the Bus. Reply to "Celflux comic up for Burt Awards"